It’s File Folder Friday again. 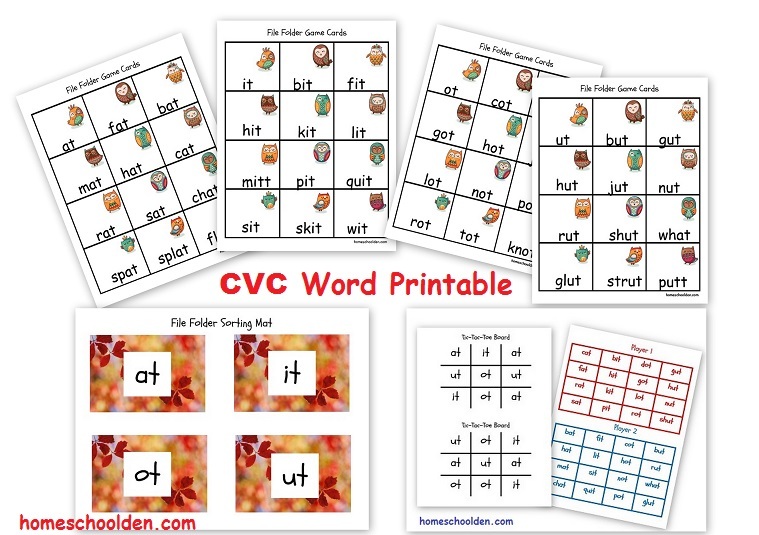 Today I have 5 fun activities you can do with your preschooler with C-V-C words. 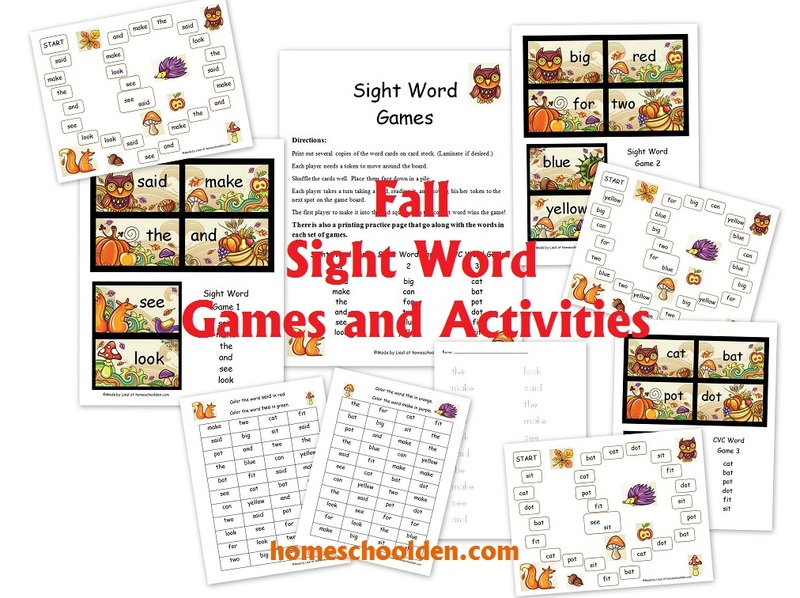 These activities will help the kids practice as they begin to sound out words. Scroll down below to get the printable!! 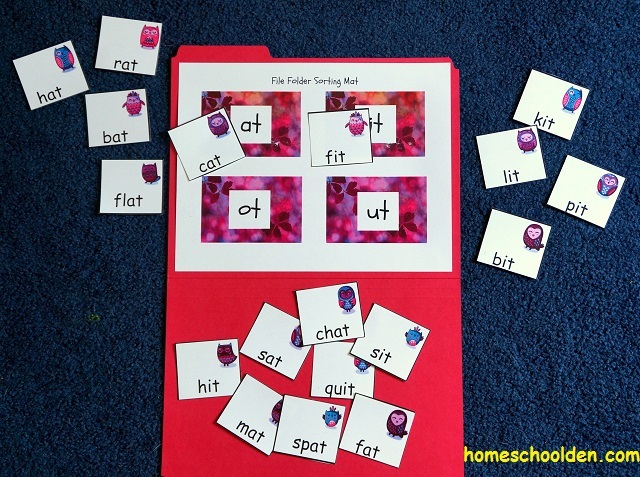 Activity 1: With the sorting mat on the previous page, you can glue it into a file folder and staple a Ziploc bag into the corner for the word cards. 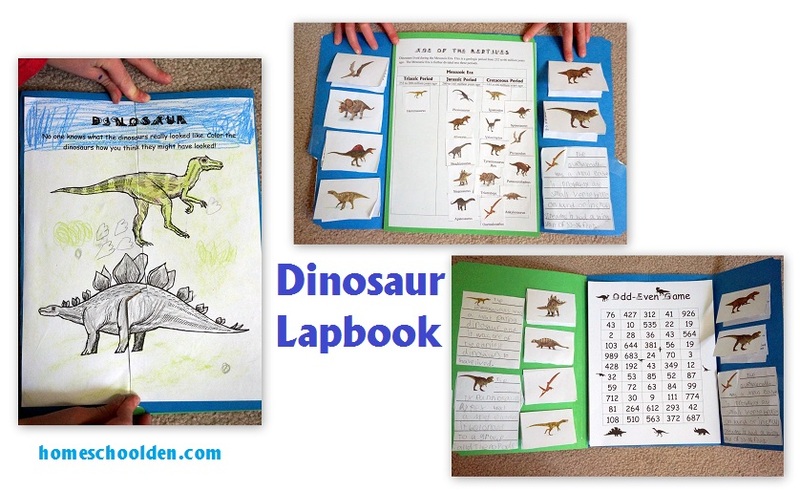 To save space, glue the tic-tac-toe page on the other side of the file folder. 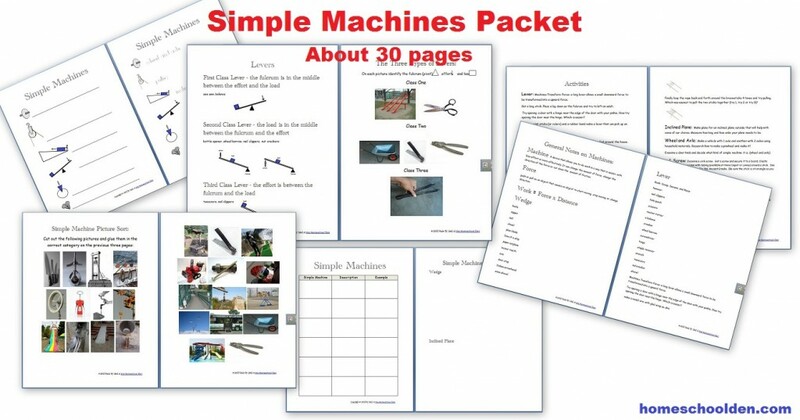 Activity 2: Place a paper clip in the corner. Have the kids fish for all the -at words. If they grab an -it word, they have to put all the owls back!! Activity 3: Glue the word mat onto an empty cereal box. Take a knife and put slits around each word family. 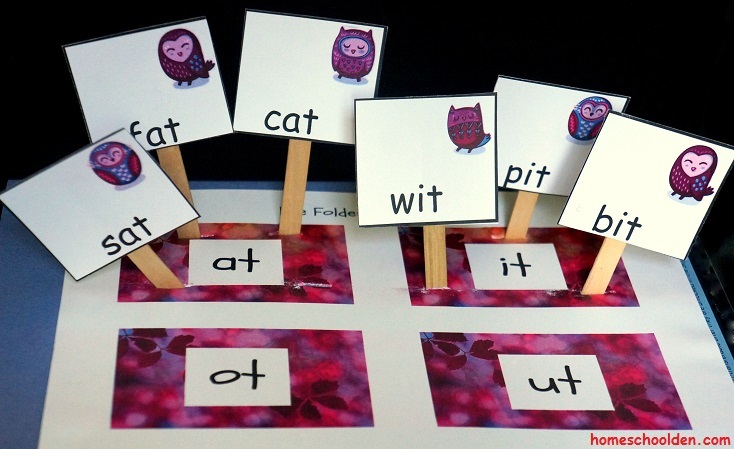 Glue the word cards onto popsicle sticks. 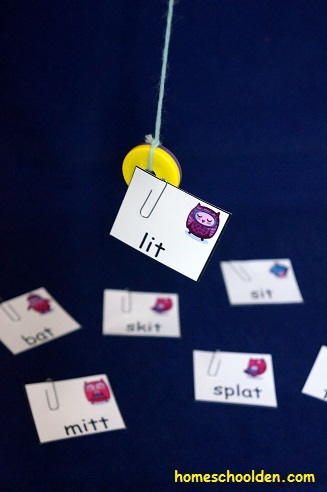 Have your kids sort the cards into the appropriate word family. Activity 4: Since it’s fall, grab a tree branch. 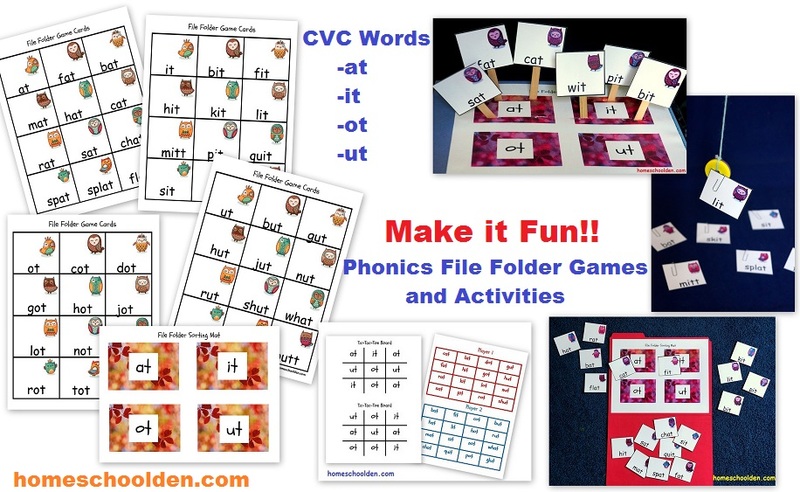 Punch a hole in the top left corner of the word cards. 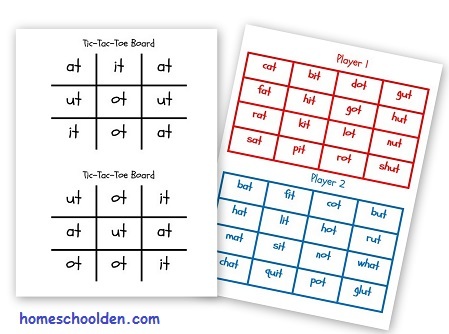 Place the -at -it -ot -ut card on separate branches. Mix up all the cards. 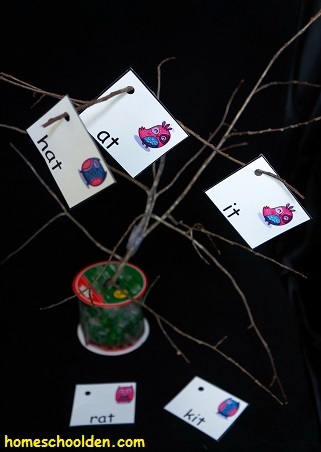 Then have the kids sort place the owls on the correct branch! 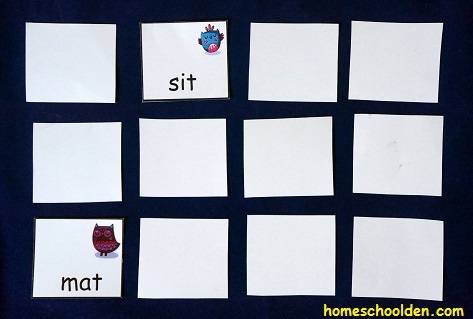 Activity 5: Memory: Print out 2 copies of the word cards. 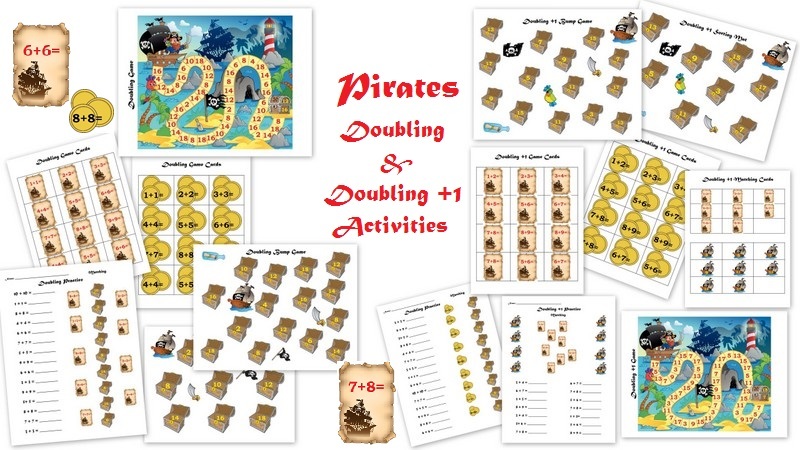 Cut them up, place them face down and have the kids find matching pairs of words. 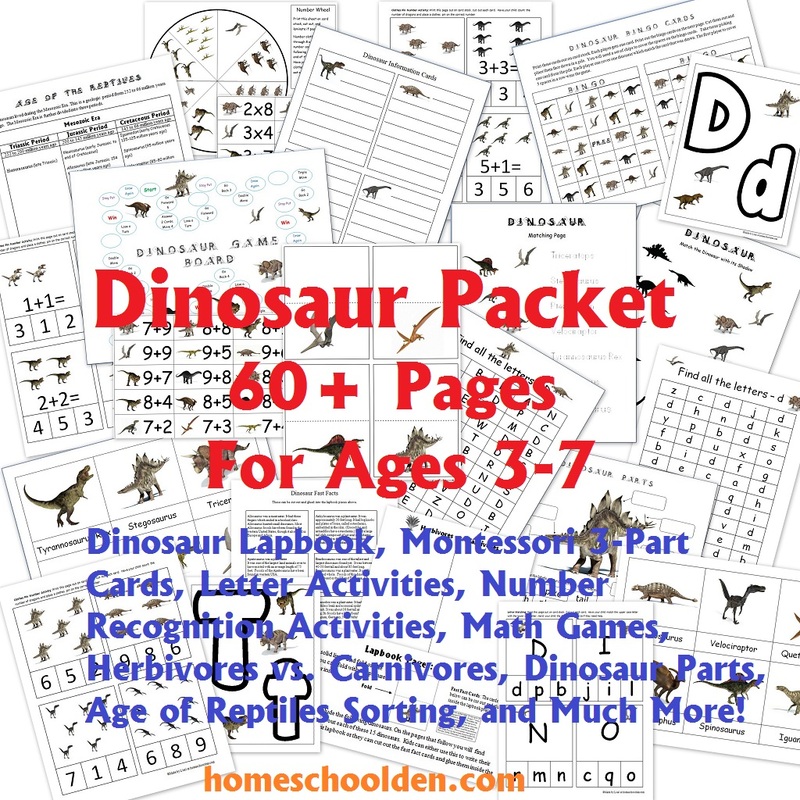 Be sure to check out our other packets over at homeschoolden.com. 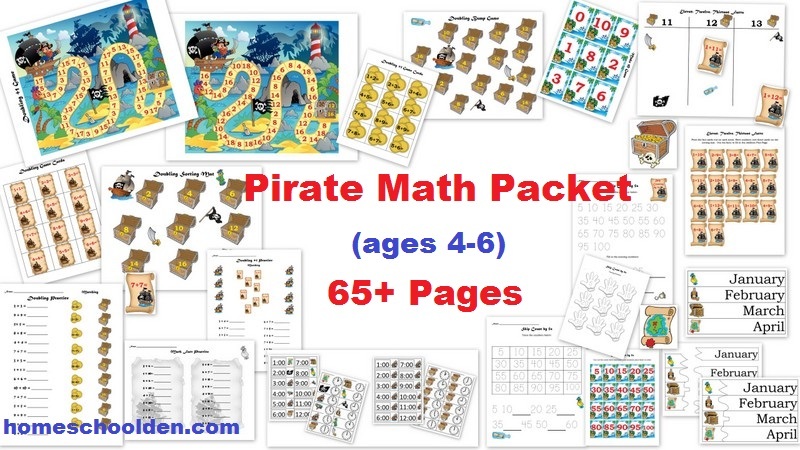 These are fun for 4-7 year olds! 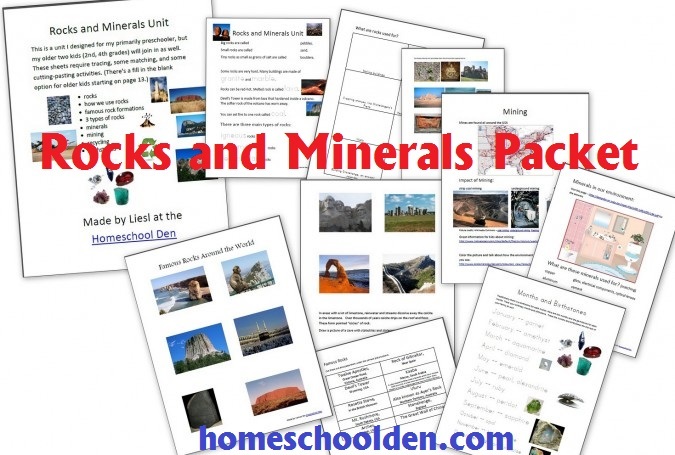 Rocks and Mineral Packet – There are pages I made specifically for my youngest… I think the kids were 4, 6 and 8 when I made this packet. 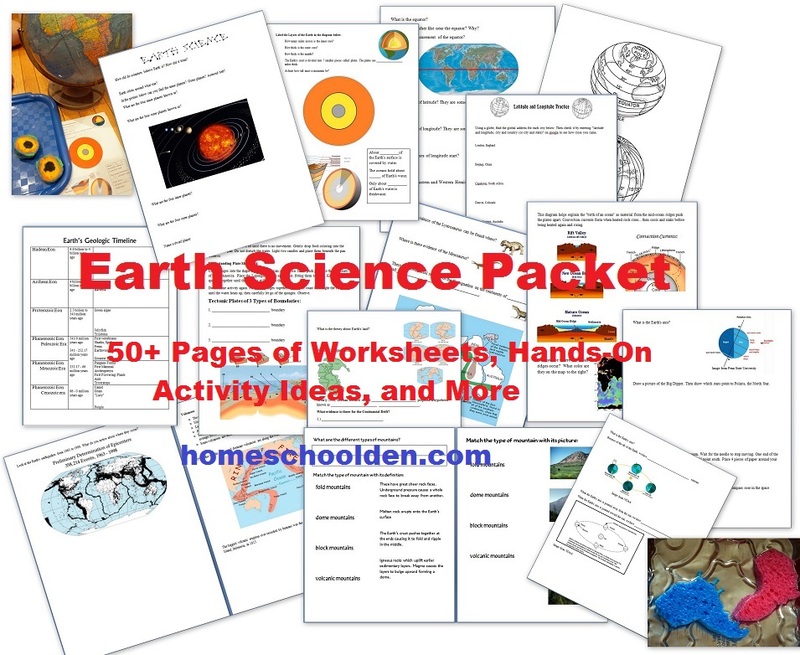 It’s free over at the blog. 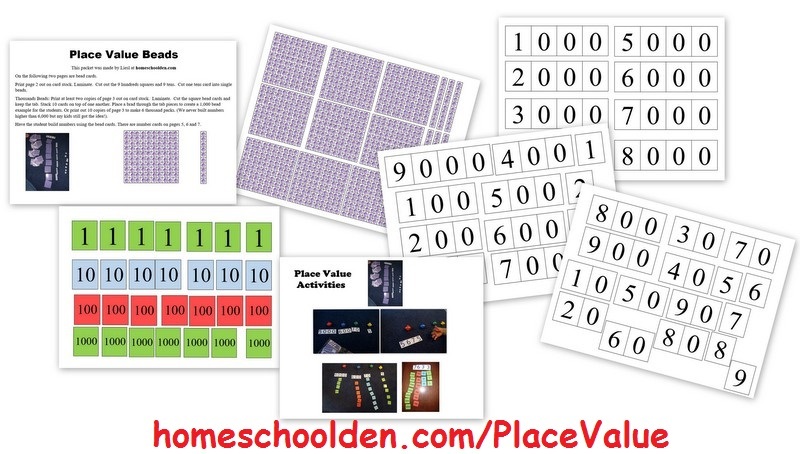 Next story Halloween: Freebies (Math, Writing), Homemade Candy Corn Recipe and More! !